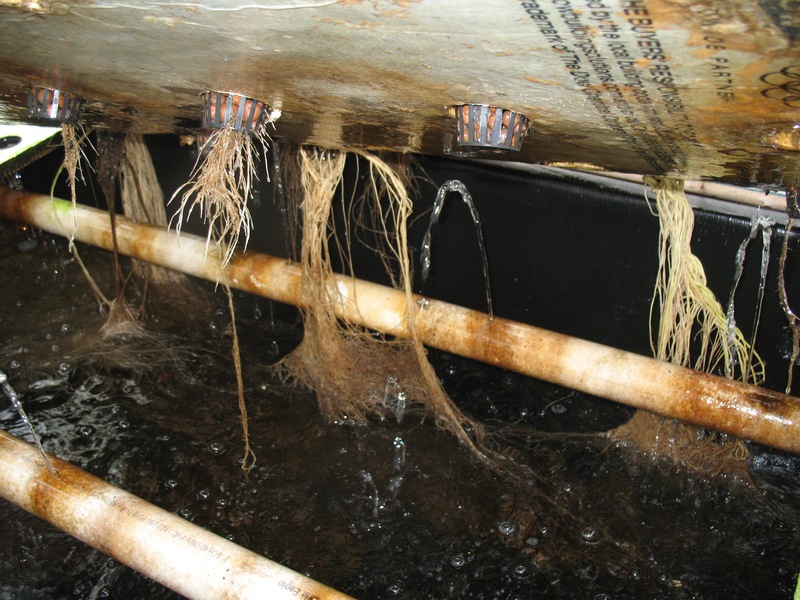 Aquaponics is closely related to hydroponics, which is the practice of growing plants that are naturally rooted in soil with their roots in water instead. Aquaponics is a more complex and integrated form of hydroponics, where in addition to the plants are aquatic animals such as fish, crawdads, or worms. The plants use waste products from the animals as fertilizer, and in the process purify the water to be reused by the animals. From 2014-15, Jeffrey Walls of Applied Ponic Technologies operated an aquaponics demonstration project in one of our greenhouses, growing a variety of vegetables and rainbow trout in a linked system. On a side loop he raised worms (vermiculture) with compost and fish waste, creating three additional products: worm castings, worm nutrient ‘tea’, and the worms themselves. Throughout the summer of 2015, Jeff and his partner Stacey could be found at the Ellsworth Farmer’s Market selling their trout, kale and spinach. 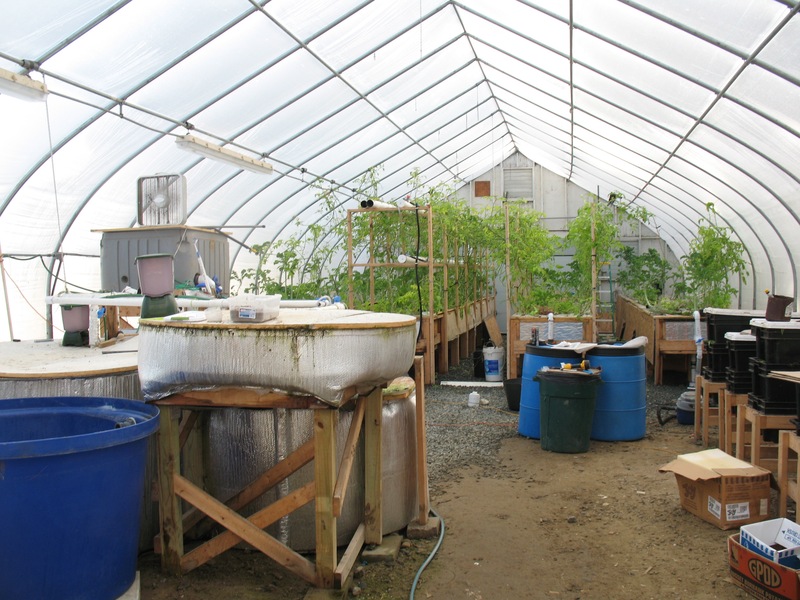 The project was enjoyed by many CCAR visitors, but ultimately the challenge of keeping an aquaponics greenhouse warm for winter production in Maine must be overcome to realize the full economic potential of aquaponics production.